Facebook just released a new feature for its mobile app. 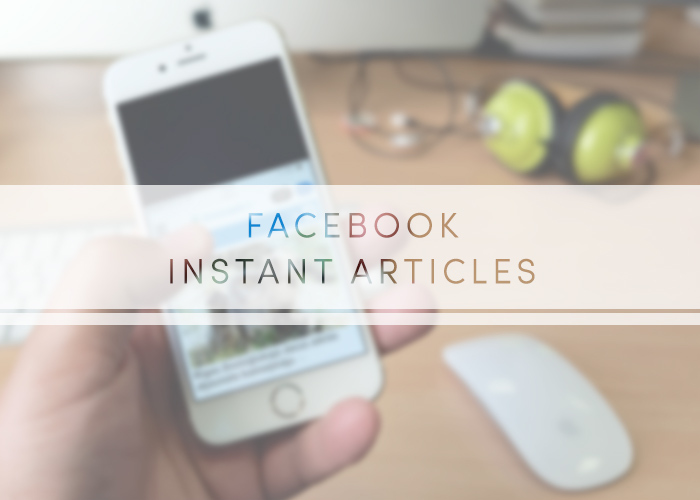 The feature, Instant Articles, hosts publication content on Facebook’s mobile app news feed to improve the experience of users who usually wait long periods of time for stories to load. As of late 2013, over 17 percent of global web usage comes directly from mobile phones and that number continues to grow. Offering users easy methods of accessing information on their mobile devices is increasingly important, which leads us to Instant Articles. But what does it have to do with user experience? First off, awesome UX is like machinery, ensuring all aspects of utility work together to benefit the user. It’s about pre-meditating actions throughout a website to ensure the page layout meets user expectations! Facebook has taken the user experience challenge seriously by creating a product that caters to, and works to benefit, its audiences. How? Let’s look below. Whenever I’m on mobile, loading articles on Facebook can be a pain. In terms of experience, this was a major deal-breaker. From a website design perspective, best practices tell our Washington DC design firm that if websites do not help users achieve their goals efficiently, bounce rates can be huge. The same principle applies to Facebook’s mobile app, or any app for that matter. 10 times faster? That’s an enormous win for Facebook improving their app’s user experience. Another great thing about Instant Articles is it puts the mobile experience first. By stripping visual clutter and focusing on a mobile user’s experience, Facebook is not only emphasizing content, but also adapting to the ways people are consuming information. But don’t expect Instant Articles to be some watered down publication format, either. To highlight the mobile viewpoint, Facebook has included many experience-boosting interactions, such as audio captions, geo-tagged photos, liking and commenting abilities, and more (via The Verge). Interested in learning more about our process or digital services? Drop us a line to chat about your web needs and how we can help you strengthen your digital presence! In the Washington, DC-area? Stop by our Old Town Alexandria office!